The Human Brain Project (HBP) is putting its innovations and novel technologies on display at a two-day event in London. The March 22-23 Innovation Forum and Exhibition is being held to engage industry and showcase the potential commercial applications of the work going on within the project. Day one is an Innovation Forum in which researchers, industry, and clinicians can exchange and debate HBP’s research, including brain inspired computing, neurorobotics, big data and brain disorders. Day two is an exhibition of HBP’s innovations that has been co-organised by Professor Tony Prescott, who works within the Cognitive Neuroscience team of the HBP (he is also one of the creators of the MiRO mammal-like companion robot, which will be among the exhibits). Prof Prescott says at the same time, a second goal is for the HBP itself to start exploring how it is going to work with the commercial world and to begin to build partnerships with external organisations that can help extend the HBP’s goals. The day will highlight work from across the HBP, with more than a dozen exhibits on display. Throughout the day there will be a series of talks about the exhibits and the challenges of turning science into innovation. “Some innovative start-ups companies are also coming along, some of whom are HBP-linked and some of whom are not and they will show how you can go from brain technology to a successful company,” says Prof Prescott. Prof Prescott has background in psychology and computational neuroscience as well as robotics. His work focuses on creating control systems for robots based on our understanding of the brain and there will be several of these “brain-based” robots at the exhibition. These include MiRO the mammal-like robot and “Whiskeye” a robot from Bristol Robotics Laboratory that has eyes and whiskers inspired by how animals like rats and mice sense and explore the world. The humanoid robots iCub and Pepper will also be on display. iCub will be demonstrating some human-like abilities for recognising and understanding people. Participants can register for either of the two Innovation days, or both. 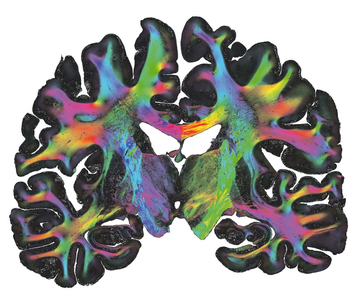 A brain slice viewed through 3D polarising light microscopy developed within the HBP. 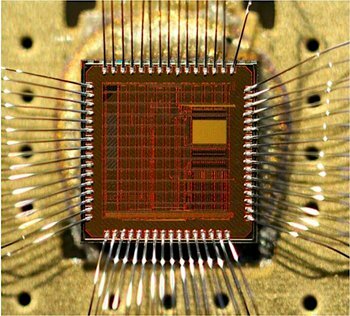 A second generation neuromorphic chip (BrainScaleS), recently unveiled at the NICE conference alongside the latest SpiNNaker chip (also from within the HBP) and Intel corporation's latest neuromorphic hardware.